We can cut and program chipped car keys for most makes of car as well as trucks, motorcycles and farm machinery. 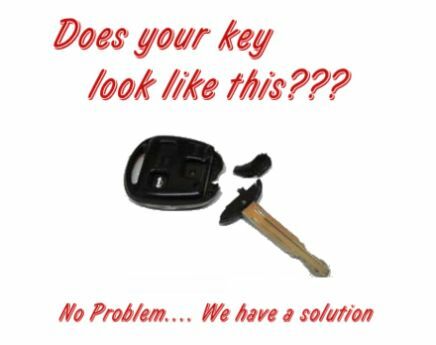 If your car key has broken or is worn, we can still copy a new key for you. Whether the metal blade of the key is broken or the plastic housing, it's not a problem. We can replace both. Key fob batteries supplied and fitted. If you are locked out of have lost your keys, call us on 086-2582163.